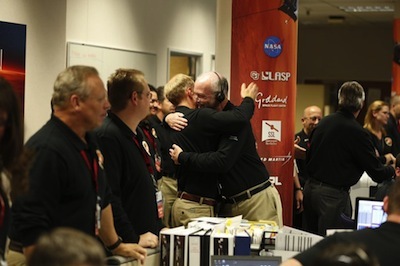 But ground controllers could not confirm the success of the crucial make-or-break rocket firing for more than 12 minutes, as telemetry from MAVEN beamed across the solar system at the speed of light, covering nearly 140 million miles separating Earth and Mars. 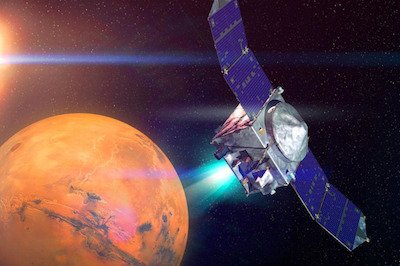 "If you put your hand while you're going through, you would feel a light breeze," said Guy Beutelschies, MAVEN program manager at Lockheed Martin, before the mission's launch. "It's really a modest amount of pressure out there, but it is a tremendous value for the scientists to be able to go down and get that in situ measurement of the atmosphere."